Tammie Aldridge has more than 18 years of mortgage industry knowledge and experience to help her clients achieve their dreams of homeownership. Tammie understands that each individual borrower has a unique financial situation, and she strives to point them in the right direction from the beginning. It’s important to her to keep her borrowers updated and informed every step of the way, from their first meeting to the closing table. “My clients appreciate that they’re able to talk to me whenever they need to, and they know that I will be there to hold their hand through the mortgage process,” says Tammie. 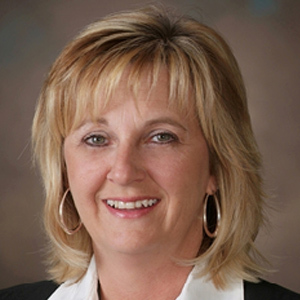 Tammie enjoys helping all types of home buyers, from first-time home buyers to veteran borrowers. Her expertise covers everything from Conventional loans to government loans to construction and renovation loans. Tammie was amazing from start to finish. As a first time home buyer, I was very nervous about the process, but Tammie made it a very easy process and helped me get the house I wanted! I always appreciate people getting back to me in a timely manner. Tammie always got back to me sooner than expected. Tammie was great to work with and very helpful with all aspects of the loan process. I would highly recommend her to anyone who is going through a similar process. Tammie was amazing to work with from the first phone call to the final signatures at the closing three weeks later! Tammie was clear and concise in her communications, and I knew exactly what documents were needed, and when. If I didn't understand something, or just wanted more information, a quick email was always returned promptly with a clear and informative answer. Call Tammie for your mortgage needs; you won't be disappointed! I was buying a house out of state, and Tammie was always available by email. On the few occasions that she wasn't available, she made sure that I knew who to contact. She was able to get me a good rate on my loan and made the whole process as painless as possible. Tammie was very helpful. She answered any and all questions I had. She made things simple and was very responsive by phone and email. She was highly recommended to us and I see why! Tammie was a pleasure to deal with. I worked with her over the span of a few months. She was responsive and helpful, informative and directive. No complaints at all! Sweet lady! Tammie helped me out with every question and concern I had, and I would highly recommend her to anyone seeking to buy a house. I got everything that I wanted on my loan and she really helped me out with understanding everything that was included in it. Tammy was very responsive and supportive throughout the entire process! Good rate, great service. Couldn't speak more highly of Tammie. She was very kind and professional, easy to reach at all times, and made the whole process streamlined and simple. I would recommend Tammie any time. I plan on using her for any future purchases that I make. She is dedicated to her clients, enjoys what she does, answers questions fast, and is very up to date on everything! Tammie was a pleasure to work with. We had never been through this process before and Tammie made this seem so easy and seamless. I would definitely recommend her to anyone. Tammie was absolutely wonderful and was able to complete the mortgage quickly and with expert ability. I don't know what I would have done if I didn't have Tammie on my side. I got Tammie the information she needed, then she took care of the rest all the way up to closing! She kept us in the loop of where we were in the process until the end. Tammy was awesome to work with. She explained the process and walked us through everything. Closing was on time and she was there from start to finish. We loved working with Tammie ! She constantly went above and beyond to ensure that we were getting all the information we needed to make the important home buying decision. She answered ALL my questions promptly and thoroughly and I would definitely recommend her! Tammie got me a great rate and communicated well through email. She helped smooth out the process for my first time home loan. I would highly recommend Tammie. Tammie was readily available, always answered her phone, and provided answers promptly. Tammie Aldridge was was fantastic. She e-mailed me promptly on what was needed, and ensured it got processed quickly. I'd highly recommend using Tammie as she was prompt, friendly and professional. Tammie is very professional and will help you with your needs. She will address any questions you may have and work with you. Tammie made the transaction very easy and with no surprises and I highly recommend her. Tammie was very responsive and very dedicated. There were several times that she went above and beyond to ensure we received what was needed. I would certainly recommend her to others. Tammie provided a great experience and excellent service. She was very responsive on our requests and helped us through all the loan requirements, explaining everything along the way. This was my 3rd home purchase and my best experience. Tammie demonstrated patience and understanding throughout the loan process, and was very responsive and had excellent follow through. She promptly returned phone calls, texts and emails on weekdays and weekends, keeping us informed and explaining every step of the way. We had an excellent experience working with Tammie. Tammy was excellent to work with, and I was even able to contact her after hours on a Friday evening! With her help and knowledge base, we purchased our first home without any hassle's or issues and we will recommend her to anyone at anytime! Tammie was always prompt, courteous, and knowledgeable and went above and beyond to explain the process to us. She ensured we were aware of how things were proceeding, and what was required of us. Tammie even took time out of her vacation to communicate with us on how things were progressing after we started the loan process. We were truly fortunate to have Tammie working with us on this important event in our lives and she truly made things easier for us, in an often 'not-so-easy' process. I had a great experience working with Tammie as she got back to me with answers to my questions the same day, and went beyond what her job entails to help me get my mortgage under the time constraints that I had. Tammie adjusted to our changing needs and responded promptly and was always accurate with information she provided us. I would highly recommend her and wouldn't hesitate to use again . Tammie was very helpful and resourceful throughout the entire process. She responded quickly and professionally each time we tried to contact her. We highly recommended her. Tammie Aldridge is efficient and knew what documents were needed to process our loan. She gave us a list of what was needed so that we could have everything to give to her, which helped us to not make more trips to Roanoke. She responded to our phone calls and emails even when she was on vacation. She is an outstanding professional and we would definitely use her again! Tammie was helpful and patient with me throughout my home loan experience. From answering my questions to assisting me with moving forward in the process, and each detail in the midst of the purchase of my home, I felt informed and confident that I was moving in the right direction. I knew that what needed to be done was being taken care of so that owning a home would be an exciting and low stress experience. Tammie is very knowledgeable, friendly, and timely in her communication. I would certainly recommend Tammie to others! Tammie was always a phone call or email away... she responded within an hour and even on the weekends. She got us a very good rate and made the process so smooth! I can't even begin to explain how helpful Tammie was! I'm a first time homebuyer and I had a lot of questions, but she made sure I had all the answers. I could not have done this without her! Tammie is so sweet and she will fight for what's right and help you in any way possible! I would and will recommend her to anybody! Tammie was wonderful! We greatly appreciate her knowledge & expertise in refinancing our home, as she was in constant contact with us through the whole process. We would highly recommend Tammie Aldridge and we will be using her in the future. Tammie was helpful and fabulous to work with. She kept me up-to-date with things needed to ensure all of our ducks were in a row. She is an awesome person to work with! Tammie is a dynamic individual, to say the least! She went above & beyond whenever I had a question or concern! There isn't anyone other than Tammie I would choose to work with on a mortgage or refinance, and I would highly recommend her. Tammie Aldridge provided the best service as she was thorough and efficient. I highly recommend. Scott W. and Ruth W.
Tammie was very thorough throughout the entire process and always knew where we were and what we needed to provide or do. Both Tammie and Shane could not have been more professional or helpful and I can't thank them enough! Every single Atlantic Bay Mortgage Group employee was exceptional to work with! They were very friendly, professional, and quick to answer questions. Kevin B. and Sue H.
We really appreciated the follow up with our concerns and questions, even while Tammie was way on vacation. Calvin S. and Melissa S.
We had an awesome experience and would recommend Atlantic Bay Mortgage Group to anyone. Steven H. and Emily H.
Tammie Aldridge went above and beyond for us and we had a very positive experience. We would highly recommend! Tammie was great to work with as she was very patient and helpful. She answered emails in a very timely manner and I would definitely recommend. Everyone was exceptional and nice and the process was short and to the point. Tammy was amazing and I would recommend her to anyone because of her first class service!